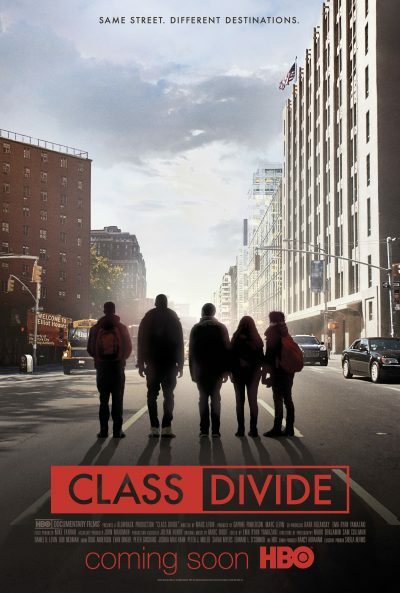 Documentary film maker Marc Levin has a ‘must see’ film entitled Class Divide about the gentrification of the West Chelsea area of Manhattan (23rd street around 9th and 10th Avenues). His former documentary, Hard Times: Lost on Long Island (2012) followed four individuals who lost their financial sector white collar jobs after the 2008 Wall Street housing bubble burst. Viewing the film was disheartening, as we watch how devastated people who still believed in the false narrative of The American Dream can become. In Class Divide we learn that the western part of Chelsea, NYC is the fastest growing real estate sector in the entire city of New York. What was once mostly a low income working stiff neighborhood now hosts high rises and townhouses that cater to the super rich… not even just the 1%, rather the 1/4 of the 1%! Imagine a townhouse across from a Chelsea public housing project that sells for $ 10 million. For real! The sad irony to all this is that in 1937 director William Wyler made a film called Dead End, based on Sidney Kingsley’s play of the same name. In the story a high rise apartment building catering to the 1/4 of the 1% of that day was built at the dead end of a really poor neighborhood in Manhattan (perhaps even the same Chelsea area). And they wonder where anger and rage against the super rich can come from. In Levin’s Class Divide there is a private school called Avenues: The World School right in the heart of West Chelsea, a few steps from where very poor people live. The tuition is around $ 40,000 a year… more than three or four times what those in the housing project earn… if they even have a job. In other apartment buildings on that street, the ones that the poor and low income have been living in for generations, landlords are making concerted efforts to get those folks out. There is gold in them there hills! In the spirit of Noblesse Oblige, the school does offer free tuition for low income kids. Let’s see, from a student enrollment of 1,200 they allowed 40 such kids in for free… which is around 4%. The rest of the neighborhood kids go to the usually underfunded and underequipped public school nearby. Levin interviewed some of the rich kids who attend the Avenues school, and one can see how naive they really are concerning income polarization in Amerika. Nice kids who obviously never had to deal with what the poor kids must deal with every day in their apartments. Shades of Wyler’s Dead End. The real sad reality of both of these films is the lack of understanding of how things should be. A nice couple in Dead End, he an unemployed architect and she a factory worker on strike, assumed that one has to accept the fact that there must be super rich people. Ditto for many of the poor residents of West Chelsea and the rich kids attending the Avenues school (none of their parents were interviewed by Levin… one wonders why). Everyone just sends out the vibes that ‘These are the cards we are dealt, and we can only play the hand the best we can.’ There are many steps that we working stiffs and unemployed working stiffs must take in order to really ‘take back’ our country from the 1/4 of 1 %. The primary step is perhaps to come to the realization that NO ONE should be earning mega millions of dollars each year while the rest of us are one or two or maybe, if lucky, four or five paychecks away from being forced out on the street. We who ‘know better’ should teach our young that Socialism is not totalitarianism, or fascism. Rather, it can be a solution to this terrible and deadly income polarization our nation has been operating under.